When I wrote my 2016 ‘To Do’ list I had little idea of how my year would actually pan out, so unfortunately there’s quite a lot of stuff on there that I’ve not achieved, but not to worry, I intend to just shunt those unmet goals over to next year and try my best to succeed in 2017! I had intended to move seamlessly from crit racing to cyclocross, figuring I’d be in good form after a summer of racing and ideally suited to the ridiculously high demands of a cross race, but as you possibly know if you read this blog regularly, my race season came to an end shortly after Red Hook Crit Barcelona when I had only one Cyclocross race in the bag. I’d anticipated using ‘cross racing to keep my top end fitness tuned right through until Christmas but having now missed nearly every race I’ve had to rework my plans. So on my return from Gran Canaria, which was my first real training after a bike-free September, I embarked on my winter training proper. So how does winter training differ to training the rest of the year? What am I doing this Autumn? Well firstly, now there aren’t races in the diary making my training plans extra complicated, I’ve begun training in four week blocks, which I’d recommend to anyone. Training in four week blocks allows you to build up the amount of training you’re doing in a controlled way, with a strong emphasis on steady gains and recovering properly. Additionally, it works very well for me as I know when I’m suffering through a hard week that I’ve got an easy week afterwards, so there’s light at the end of the turbo training tunnel! At it’s most basic, it means your training gets harder each week until you have a recovery week and start again. So week one is standard/moderate training, Week 2 is harder, Week 3 is all out hardest and then Week 4 still involves riding but includes more rest days and gentler rides. As an example of how things get harder, my longer endurance rides in week three could involve extended periods riding at tempo or at ‘sweetspot’ (a very specific percentage of the average number of watts I can produce for an hour) or threshold hill climbs, whereas earlier in the monthly cycle my endurance rides would be much more steady. Speaking of monthly cycles, women, you may want to try and time your training blocks so that they work best for you. There hasn’t been enough research into the affects of menstruation on training and athletic performance (and there’s so much contradictory information out there!) but some people find that it’s best to time Week 4, your recovery week, so that it lands before you get your period. I’d suggest that if you want to get serious about your training you make a note of how you feel, perform and most crucially, recover at different times of the month. Each four week training cycle is part of a 12 week period and it helps me to break the year down in this way. There are differing schools of thought on what’s best to do during an Autumn training block such as we find ourselves in at the moment. Traditionally, it was thought that at this time of year riders should drop the more specific or focused high intensity stuff and concentrate on building ‘base miles,’ which is kind of like laying the foundations for the following year. It’s now thought that there is a place for more specific training sessions at this time of year alongside your long, endurance miles. After this block of twelve, when it’s getting closer to Spring my next block will change to focus more heavily on top end tuning with some more specific Threshold sessions that will get me prepped for criterium racing. In my opinion, it’s best to focus your later training blocks on sessions that are in tune with the kind of racing you’ll want to do, so if I were only going to race crits, I’d do more of these short, hard sessions and fewer long rides. 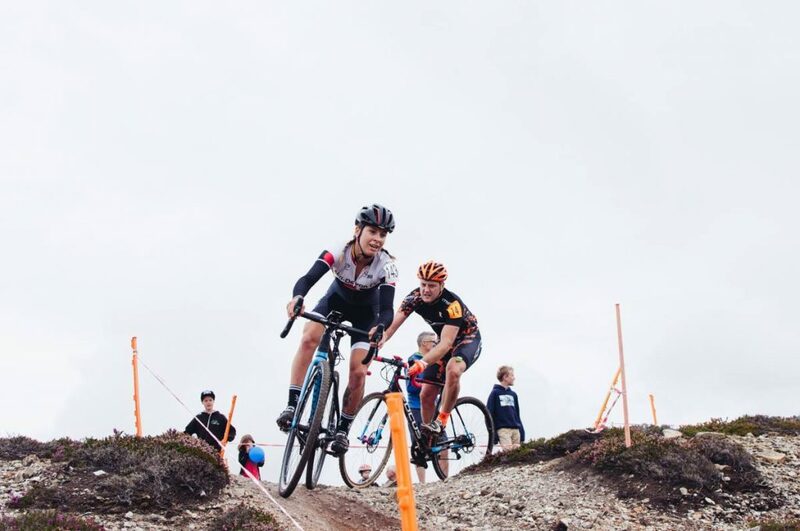 BUT I’d like to do some road races (which are often around 80km) and I want to race Enduro (day-long Mountain Bike stage races) so the long rides have to stay. 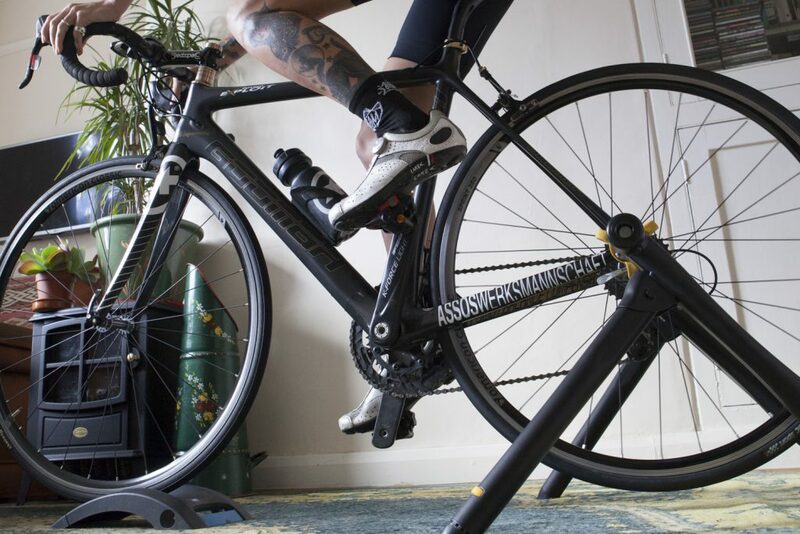 Each week I go through a variety of sessions on my bike, on my turbo trainer and in the gym. The more focused sessions I do at home on my new Cyclops Powersync smart trainer then I’ll do my long rides outside using my Powertap P1 pedals from Power Meter City, making the most of Devon’s hilly terrain. My gym sessions focus on strength and power which helps my sprinting but most importantly keeps my body strong enough to hold itself together – cycling doesn’t work every aspect of your body and I work on core strength as well as just my legs. As I’m not in the Tour de France or more appropriately, the Giro Rosa I use this schedule as a guide rather than gospel. As long as I get in plenty of training, I’m all good. I like to take a moment on a Sunday to plan out what I’m doing for the week so I can fit in the sessions I want to. Alongside the training sessions, of course there is as much mountain biking as I can fit in (including the odd race) and lovely swims at the local leisure centre. The rest of the time, I struggle to move away from the sofa and food is all I think about. Training saves me a lot of money as I’m always too knackered to go out! If you’ve any questions about winter training please leave them below, I’d love to hear from you! Well received here in Northern California. Stay warm! Is it possible to give examples of your training plan especially recommended gym exercises? I’ve been planning to write up or film my gym routine, I’ll prioritise it as you’re interested.